Friday November 9, 2018-Interior Cabinet Secretary, Fred Matiangi, has said the upcoming crackdown on rogue matatus is inevitable and Kenyans should prepare for the tough times ahead. 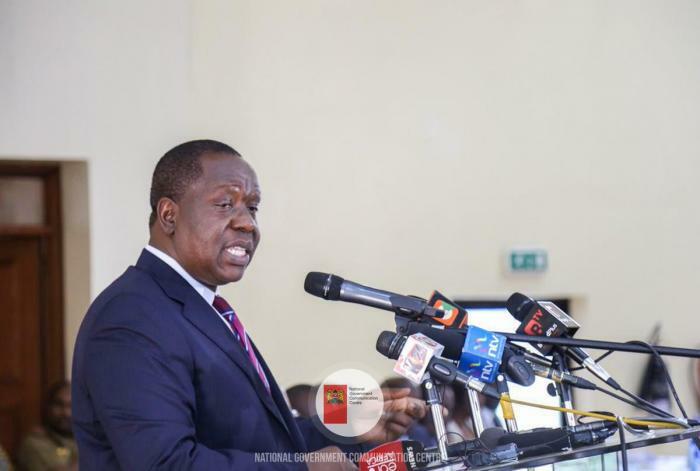 Speaking to the press at the Kenya School of Government, Matiangi stated that the undertaking was a tough journey that shall entail a face-off with cartels, who he said have begun threatening him, that has captured the public sector. He authoritatively observed that the sector was the greatest and typical illustration of the lawless in the country, noting that this must be changed. “Where else on earth do you buy a vehicle as an investor and you have to pay Ksh50,000 to be admitted to a route!" remarked the not so shaken Matiangi. Kenyans are 101% behind you sir.DO it.